Department of Pharmaceutics and Drug Delivery. Recipient of Travel Grants from DST, FIP, ExL events and ISPOR to present research in various countries. He has 1 patent, 45 publications, a book and book chapter to his credit. 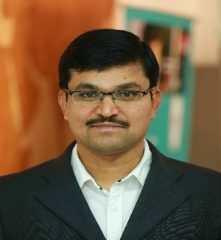 His research interest includes Oral drug delivery, Enhancement of solubility and bioavailability of poorly soluble drugs, Lipid based drug delivery and Co Crystals.